Farewell Green and clover, lets get this Easter Party underway!! Today I wanted to share a easy craft with you that starts off with a packaged craft from the dollar store. 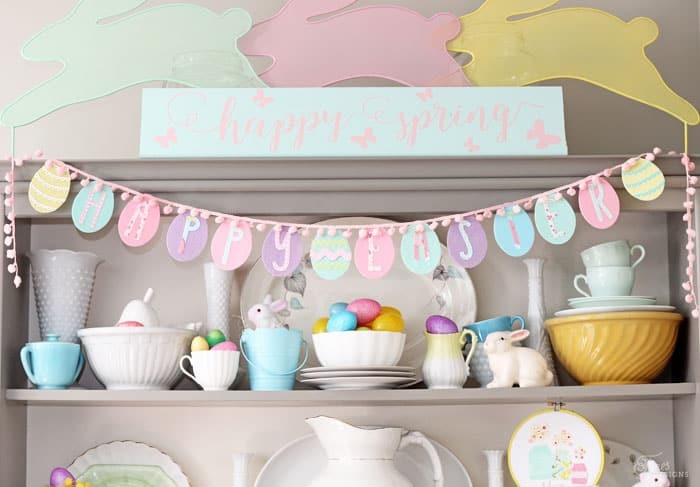 This Happy Easter Egg Garland is super cute and comes in at less the $5! 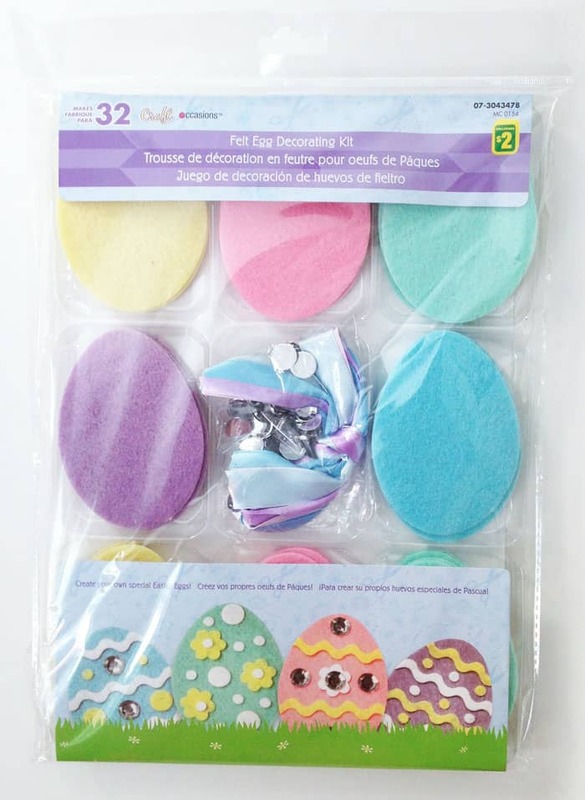 I picked up this $2 felt egg decorating kit at Dollaramma, the pack was perfect- cute colors, perfectly starched so the garland will lay flat, and pre-cut Egg shapes. Plus since the garland only used 14 egg shapes there were lots left over for the kiddos to craft with. I then gathered some spring coloured fabric strips and ironed on fusible interfacing. 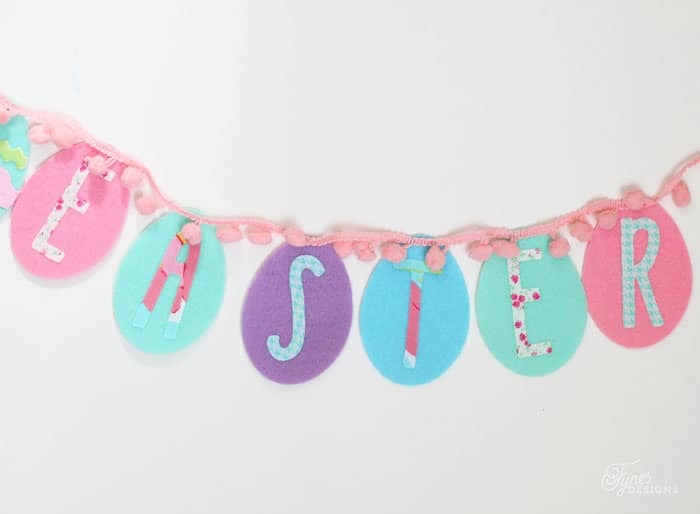 Using my Silhouette Cameo I cut the letters for “Happy Easter”. You can read a quick tutorial how to cut fabric with the Silhouette here. Then I simply ironed the letters onto the felt eggs, too easy! 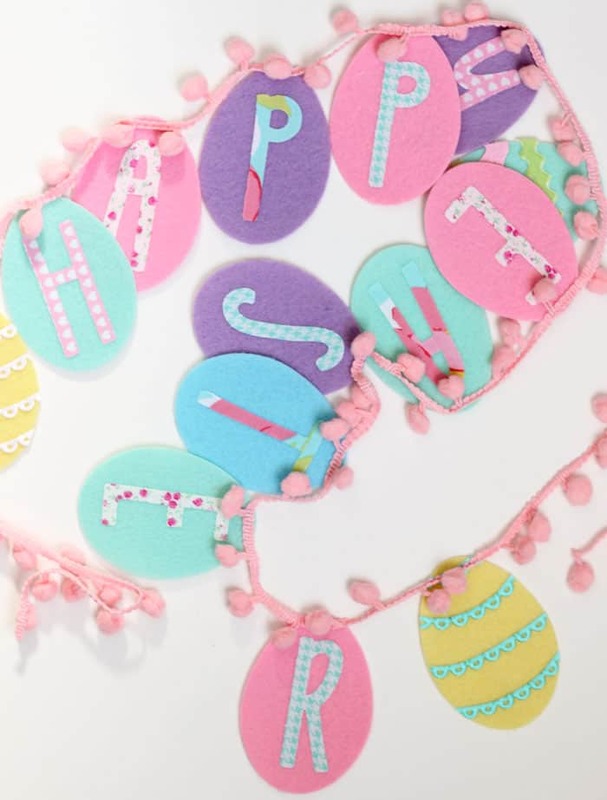 Then you can string your eggs on a pretty piece of ribbon (I used Jumbo pink pom poms from May Arts Ribbon) by using a sewing machine, hand sewing, or you could punch a small hole and tread it through. 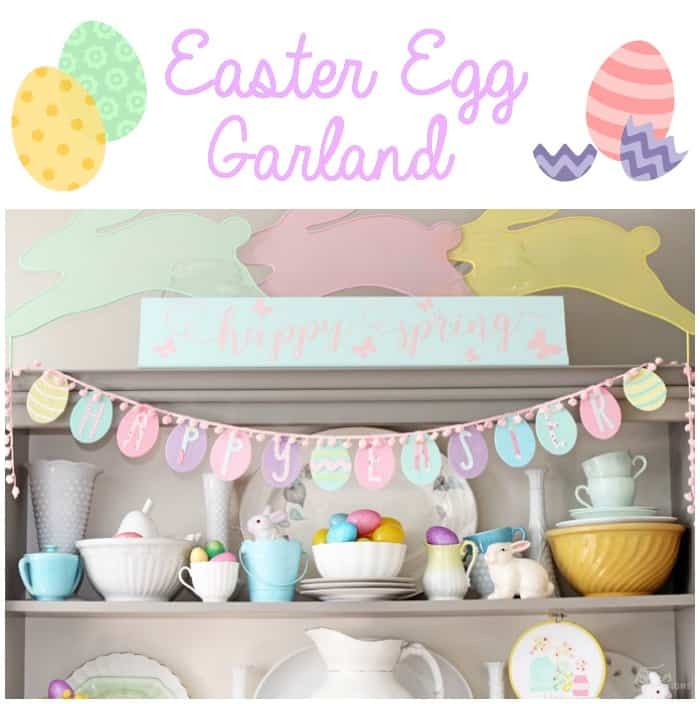 Wasn’t that a quick and easy Easter Egg Garland? Be sure to come back on Monday to get a good look at my Easter Hutch, its bright, fun and cute all over! Have a great weekend! So simple and yet so adorable!! My girls would love this project – thanks for sharing! !